In the epic action-adventure Snow White & the Huntsman, Kristen Stewart plays the only person in the land fairer than the evil queen (Charlize Theron) who is out to destroy her. But what the wicked ruler never imagined is that the young woman threatening her reign has been training in the art of war with a huntsman (Chris Hemsworth) who was dispatched to kill her. Sam Claflin joins the cast as the prince long enchanted by Snow White's beauty and power. The breathtaking new vision of the legendary tale is from Joe Roth, the producer of Alice in Wonderland, producer Sam Mercer of The Sixth Sense and acclaimed commercial director and state-of-the-art visualist Rupert Sanders. $56.217 million on 3773 screens. Of the two Snow White-themed movies that hit screens in 2012, the second one – June’s Snow White and the Huntsman - was undeniably the bigger financial success. 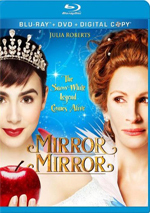 The flick’s $154 million gross obliterated the meager $64 million made by April’s Mirror Mirror. But was it a greater creative success? That’s up for grabs. While I didn’t think much of Mirror, I can’t say that Huntsman provided a more compelling experience. 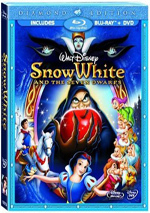 At the start, learn of the birth of Snow White (Raffey Cassidy as a child, Kristen Stewart as an adult) and the death of her mother, Queen Eleanor (Liberty Ross). A grief-stricken King Magnus (Noah Huntley) eventually meets beautiful Ravenna (Charlize Theron) and marries her after a 24-hour courtship, but she soon kills him and takes over the kingdom. She locks Snow White into a tower and leaves her there to rot. A once thriving land turns dark, and Ravenna cares for little more than her own looks and power. She feasts on the blood of young beauties, but these can’t sustain her for long. 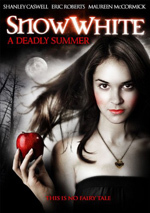 Ravenna learns that if she consumes Snow White’s heart, she’ll attain true immortality. Alas for the Queen, Snow White escapes her prison and flees. Ravenna sends a burly Huntsman (Chris Hemsworth) to find her and bring her back, but Snow manages to convince him to spare her life. The pair attempt to find a way to get reinforcements to stage an attack that will bring down Ravenna’s reign of terror. Outside of their storybook inspirations/characters, Huntsman and Mirror share little. The latter went for a more kid-oriented comedy/fantasy, while Huntsman offers a much more grim affair. It emphasizes action and drama where its predecessor went for lightness and fun. That’s an unusual take on the property. Sure, prior versions – including the Disney edition, which offers by far the most well-known adaptation – included dark sequences, but I can’t think of any that opted for such a humorless, gritty telling. Normally I like gritty, and I’m fine with (essentially) humorless. After all, I love the three Christopher Nolan Batman movies, and those take the property down a decidedly dark path. I don’t think they’re nearly as comedy-free as their foes claim, but that’s a discussion for a different review. Huntsman, on the other hand, really is almost ntirely devoid of humor. This doesn’t mean it’s relentlessly dank and dark, as a few magical moments lighten the mood a bit, and we get some humanity from the dwarfs. However, the film remains nearly free from comic relief; even mildly funny moments are so underplayed that they barely exist. Again, that might sound like a good thing. Many movies throw out inappropriate comedy in a reflexive way, as though the filmmakers worry that too much seriousness will turn off the audience. While I like a somber feel, I’d still prefer something less grim than this. Even notoriously dark films like Blade Runner, Se7en and The Silence of the Lambs include a few humorous moments. A few mild attempts at wry humor – when we meet the Huntsman and later with the dwarfs – appear, but as noted, these are so subdued that they don’t qualify as “comic relief”. It still feels weird to take a traditional children’s tale and consciously alienate the younger crowd – unless you want to totally go in the opposite direction, that is. If Huntsman opted for an “R”-rated approach, that’d be a different deal. But “PG-13” leaves it neither here nor there: it’s too violent/grim for little kids but not extreme enough to do that sort of interpretation true justice. Perhaps I’d spend less time questioning the tone and ratings if the subject matter stimulated me more than it does. Heck, I could get past the lack of humor if I thought Huntsman offered good entertainment. But it doesn’t. The vast majority of the movie comes across like one really long prologue, as it often feels as though nothing really happens. Most of the film does little more than just set up the climactic battle, like its creators invested themselves so heavily in the finale that they didn’t care what came before that part. This means that the first three-fourths or so of Huntsman tend to move slowly. Sure, we get some basic exposition and character development, but little of this goes anywhere. The aforementioned somber tone makes this a tough slog, as we watch the characters wander and meander without much to interest us. Once we get to the big finish, the battle does reasonably well for itself – but not well enough to overcome the dull nature of the preceding 90-plus minutes. We fail to invest in the characters to a substantial degree and don’t much care what happens to them. Some of the blame lies at the feet of Stewart – or at the feet of those who cast her. I think Stewart has talent as an actor, but she seems stuck in Morose Mode. As with her role in the Twilight films, Stewart relentlessly downplays every mood and emotion, so she comes across as a bland mope on-screen. She can’t give Snow the warmth and charisma she needs to win over the audience. No, she doesn’t need to be the perky happy-face of the Disney film, but at least give the character something to make her appealing. And don’t get me started on the notion that Stewart’s Snow represents “the fairest in the land”. That’s one area where Mirror gets its right: Julia Roberts is a good-looking woman, but she’s nowhere near as gorgeous as Lily Collins. On the other hand, the notion that the attractive but plain Stewart outshines the classic beauty of Theron seems preposterous. Speaking of whom, I guess Theron saw Stewart’s dailies and decided she needed to save the movie, for she plays her role in a completely opposite way. To counteract Stewart’s flat, unemotional turn, Theron goes big - really big. Theron chomps on scenery like its Skittles, as she shouts, pouts and stomps her way around the screen. I’d like to say these choices work, but they don’t. It’s not just that Theron seems to be in a different movie – a much campier movie, at that. It’s that Theron is so wild-eyed and crazed that she borders on laughable. Maybe I should applaud that, as Huntsman desperately needs some humor, but unintentional laughs aren’t the way to go. In the end, Huntsman doesn’t qualify as a truly bad film. It looks quite good, and at least it attempts something different with the property. Nonetheless, it’s so turgid and self-serious that it fails to offer much entertainment. It’s a long, slow journey. Snow White and the Huntsman appears in an aspect ratio of approximately 2.35:1 on this Blu-Ray Disc. Thought not stunning, the image was very good. For the most part, sharpness seemed solid. Some interiors could be a little soft, but those didn’t occur with much frequency. Instead, the movie usually displayed strong clarity and delineation. Jagged edges and moiré effects failed to materialized, and the programs lacked edge haloes. No signs of source flaws popped up, as the series always offered clean visuals. Much of the film went with a cold, desaturated look to fit the dark tone, so expect a bluish feel much of the time. When the characters entered the green forest, though, the hues pepped up somewhat; they still stayed restrained but they offered more diversity. I thought the colors looked appropriate given the production design. Blacks were deep and tight, while shadows appeared clear and smooth. All of this ended up as a “B+” presentation. I felt more impressed with the film’s DTS-HD MA 7.1 soundtrack. In terms of soundfield, the flick came with a lot of action, and those sequences worked well. Whether the track went with lively action or general ambience, the mix used the channels in a compelling manner. It created a good sense of place and environment, with elements that blended in a satisfying manner. Audio quality seemed good. Speech was concise and distinctive, without edginess or other issues. Music was full and dynamic, and effects came across as accurate and clear. When necessary, the track boasted deep, rich bass. The track impressed enough for an “A” rating. Do any of these additions make Huntsman a better film? Nope. I thought the theatrical cut was slow and tedious, and the extended footage didn’t improve it. The movie came across as dull and sluggish either way. We find an audio commentary from director Rupert Sanders, visual effects supervisor Cedric Nicolas-Troyan and co-editor Neil Smith. All three sit together for this running, screen-specific look at story and characters, cast and performances, editing and effects, music, sets and locations, visual design, stunts and action, and a few other areas. Despite a few lulls, this usually acts as an engaging take on the film. Narration becomes the biggest drawback, as the participants occasionally just describe the on-screen action. However, those moments don’t become too intrusive, and the track usually works well. We get a lot of info about the movie in this generally solid discussion. A staple of Universal Blu-rays, U-Control gives us a “picture-in-picture” program. It mixes footage from the set and interviews. We hear from Sanders, Nicolas-Troyan, stunt coordinator/fight coordinator Ben Cooke, stunt coordinator/horse master Steve Dent, co-writer/story writer Evan Daugherty, VFX supervisor Philip Brennan, set decorator Fainche MacCarthy, supervising model maker Dean Brookes, animal wrangler Anthony Bloom, special effects supervisor Michael Dawson, executive producer Palak Patel, producer Sam Mercer, and actors Chris Hemsworth, Charlize Theron, Sam Claflin, Kristen Stewart, Sam Spruell, Eddie Marsan, Ian McShane, Nick Frost, Johnny Harris, and Vincent Regan. The PIP examines battle scenes, stunts and action, cast, characters and performances, effects, sets, locations and design. Prior Universal “U-Control” PIPs tended to be spotty, and this one follows that trend. When the material appears, we learn some decent details about the production, but a fair amount of the movie passes with no footage. That makes this an occasionally frustrating experience, and I’m not sure the quality of information compensates. Featurettes flesh out the disc. A New Legend Is Born goes for 20 minutes, 53 seconds and includes notes from Sanders, Patel, Theron, Stewart, Claflin, Hemsworth, Mercer, MacCarthy, Cooke, Dent, Regan, chief pilot Marc Wolff, producer Joe Roth, costume designer Colleen Atwood, medieval advisor Dr. Hugh Doherty, and actors Ray Winstone and Liberty Ross. The show looks at what Sanders brought to the film as a first-time director, costumes and visual design, sets and locations, stunts and action, and some general thoughts. This is pretty standard “making of” stuff, so it delivers a mix of production details with a lot of “everything/everyone was great” chatter. It’s a decent piece but no better than that – and if you’ve already watched “U-Control”, expect to see some of the same clips here. Reinventing the Fairy Tale goes for six minutes, seven seconds and offers info from Sanders, Daugherty, Patel, Roth, Nicolas-Troyan, Hemsworth, and co-writers Hossein Amini and John Lee Hancock, We get a look at story/script subjects as well as the film’s tone. The main subject/attraction here comes from Sanders’ “Tone Poem”, a short reel he shot to show the studio what he wanted to do; we see snippets from it. Despite this featurette’s brevity, it delivers a good level of information. Four clips pop up under Citizens of the Kingdom. These cover “Snow White” (5:48), “Queen Ravenna” (5:36), “The Huntsman” (5:04) and “The Dwarves” (6:42). Across the clips, we hear from Sanders, Stewart, Theron, Hemsworth, Patel, Marsan, Cooke, Claflin, Daugherty, Spruell, Roth, McShane, Frost, Harris, Brennan, Nicolas-Troyan, makeup department head Sharon Martin, prosthetics makeup designer David White and actors Brian Gleeson, Bob Hoskins, and Toby Jones. We get notes about cast, characters, performances and connected subjects. Like the prior pieces, these deliver a mix of useful facts and happy talk. With the 13-minute, 23-second The Magic of Snow White and the Huntsman, we locate comments from Sanders, Nicolas-Troyan, Brennan, visual effects producer Will Cohen, effects supervisors Alexander Seaman and John Moffatt, 2D supervisor Sean Stranks, 3D supervisor Dan Neal, animation supervisor Robyn Luckham, senior animation supervisor Andrew Arnett, movement coach Peter Elliott, and visual effects supervisor Todd Shifflett. “Magic” examines a mix of effects methods used to bring those elements to life. “Magic” delivers a pretty solid take on the topics, so expect a tight, brisk show. Lastly, we find Around the Kingdom: 360 Degree Set Tour. We see intros from Sanders as well as close-up glimpses of sets: “King Magnus’s Courtyard”, “Village Near Castle Tabor”, “Duke Hammond’s Castle Encampment”, “Queen Ravenna’s Throne Room” and “Queen Ravenna’s Mirror Room”. These mix the expected slow pans around locations, but we also view pre-viz shots, rough effects material, concept art and interviews; the latter include comments from Ross, Claflin, Hemsworth, Spruell, Regan, MacCarthy, Doherty, Theron, Atwood, Stewart, and actor Noah Huntley. The interface can be clunky, but the feature adds some interesting details and observations. The disc opens with ads for ET the Extraterrestrial, Death Race 3: Inferno, Werewolf: The Beast Among Us, Dead in Tombstone, End of Watch, Bring It On: The Musical, Battleship and Anna Karinena. No trailer for Huntsman appears here. A second disc offers a DVD Copy of Huntsman. This delivers a retail edition with a few extras – and both the theatrical and extended cuts of the film. 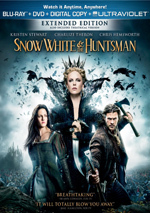 While not a genuinely bad film, Snow White and the Huntsman provides a rather dull take on the classic fable. The movie generates decent action by its end, but at that point, it’s too late. The Blu-ray offers very good picture and excellent audio as well as a fairly nice set of supplements. We get a strong Blu-ray release for a mediocre movie.